A reminder to those that have had issues with water pipes freezing in the past – running water through the pipe – even at a trickle – helps to prevent pipes from freezing. January – the new fire truck has arrived! And not to leave out our ambulance, police & sheriffs dept, you all are so appreciated! Monday through Friday from 3:00 p.m. to 9:00 p.m. Weekends 1:00 p.m. to 5:00 p.m. There are skates available in the warming house that are free to use! And, speaking of the warming house – THANK YOU to the awesome volunteers that help make this available! We are now in the “Before New Year’s Day Blizzard” just after we finished clean-up from the “After Christmas Blizzard” – please, if you have to travel, do so with caution! High winds and blowing snow are causing whiteout conditions. Snowplows will continue to operate, but motorists are advised not to travel until conditions improve. For tips on safe winter driving, go to www.mndot.gov/workzone/winter.html. For real-time traffic and travel information in Minnesota, visit www.511mn.orgor get the free smartphone app at Google Play or the App Store. Please have patience as the City crew works to keep our roads open during yet another storm. The video below (and post photo above) was taken during clean up from last week’s blizzard. A list of resource links as we make it through this winter season. Their Facebook pages keeps us current on in-coming weather related notices and alerts. Listen in on KDIO for all weather-related announcements and they also posts updates on their Facebook Page. Posts all their emergency related announcements and notifications on their Facebook Page. …and although not weather-related, Ortonville Area Health Services posts very helpful & informative information on both their Website- OAHS.US & their Facebook Page! The Ortonville EDA office will be moving to the lower level (2nd Street a.k.a. Main Street) of the Community Center in January. Currently, the EDA sub-rents space from KDIO. 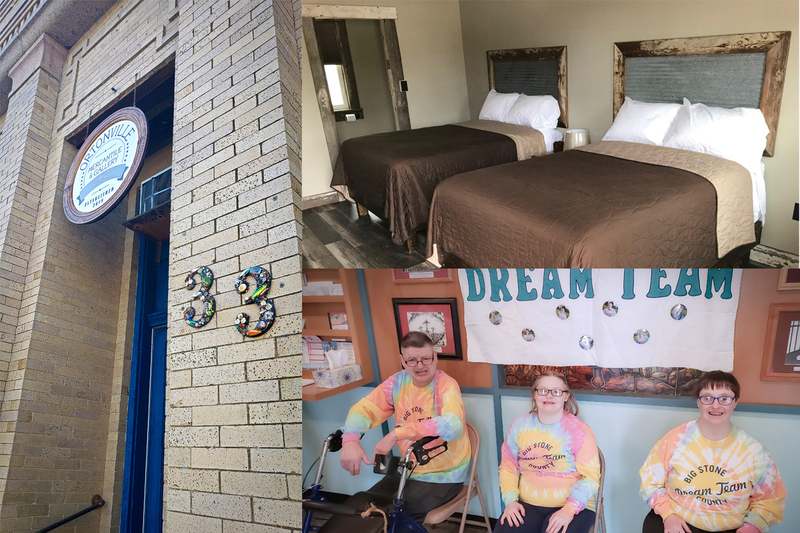 Although the KDIO space has been a great office location, the new location will not only save money in the budget, it will also provide private meeting space and easier access for our downtown businesses. 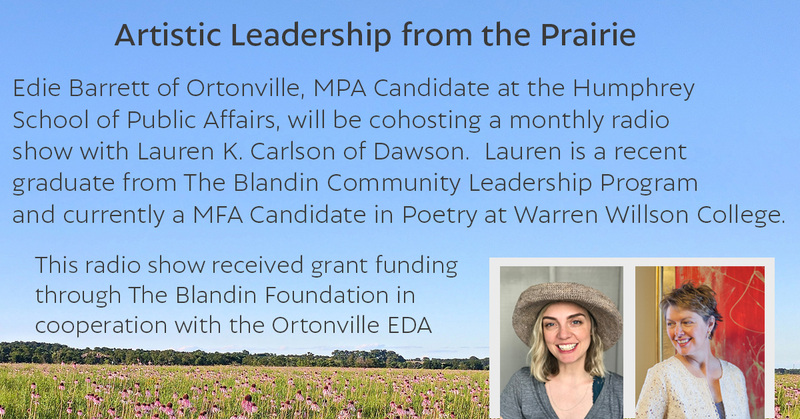 The official Ortonville EDA information can be found right here on the City’s new website! – page link. 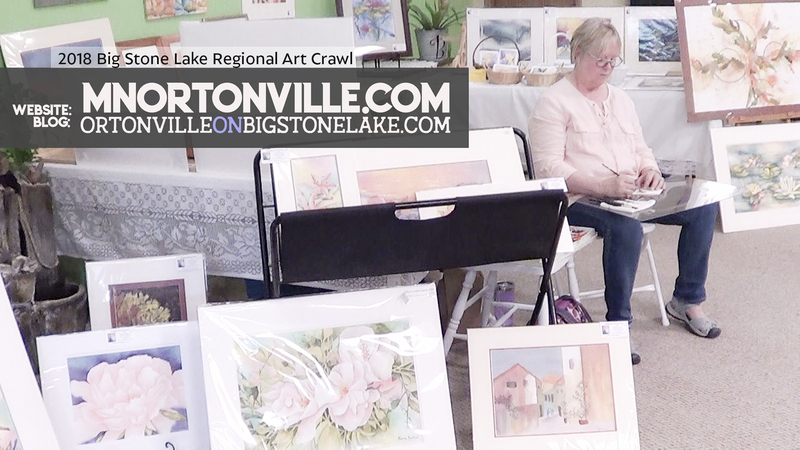 And, also make sure to check out my new blog (ortonvilleonbigstonelake.com) The blog provides a more personal community connection where I discuss our local businesses, organizations and EDA updates… however, I also blog about local events that I attend. Attending events is not part of my official “job” – it is what I love to do most – so the EDA Board allows me the flexibility to blog about the local events that I attend – right along with my work blogging. So, watch for the EDA office to open downtown starting in January and until then stay connected with us online! Of the 509 eligible low-income census tracts in Minnesota, Governor Dayton could designate 128 census tracts as Opportunity Zones. 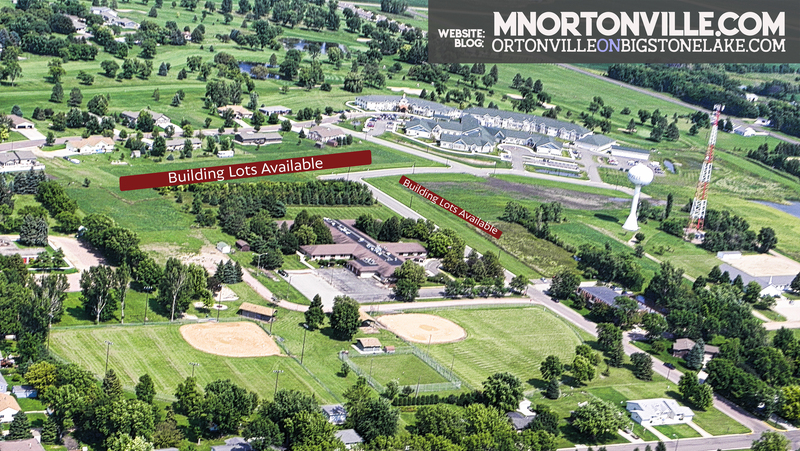 The Ortonville EDA completed the application and sought support from the City and the County to submit Ortonville’s census tract for consideration as an appointment – with success! Opportunity Zones are a new community development program established by Congress in the Tax Cut and Jobs Act of 2017 to encourage long-term investments in low-income and urban communities nationwide. Opportunity Funds are a new class of private sector investment vehicles authorized to aggregate and deploy private investment into Opportunity Zones. Opportunity Funds allow U.S. investors holding unrealized gains in stocks and mutual funds to pool their resources in projects located in Opportunity Zones, which will be invested in rebuilding low-income communities. A temporary tax deferral for capital gains invested in an Opportunity Fund. A step-up in basis for capital gains reinvested in an Opportunity Fund. A permanent exclusion from taxable income of capital gains from the sale or exchange of an investment in a qualified opportunity zone fund if the investment is held for at least 10 years. As the final details of this program have been rolled out, we are excited that the timing is coinciding nicely as we finalize our work with the Minnesota Housing Partnership (MHP) to address the needs that were identified in the 2018 Housing Study by Maxfield Research & Consulting. Community: Families, youth, vets, seniors, etc. Resources: Available land, infrastructure, etc. What do we need to get what we want? The Committee is currently drafting a Request for Proposal (RFP) which will go out to developers. This Draft RFP will first be taken to the City Council for review and then the Committee plans to host a public meeting for the review of the plans for input/changes before being released. The housing projects under consideration in the RFP will be Opportunity Zone — project friendly! We received notice from the Minnesota Department of Health (Oral Health Program and Drinking Water Protection) this month that the City of Ortonville received the 2017 Water Fluoridation Quality Award! This award, created by the Centers for Disease Control and Prevention (CDC), recognizes those public water systems (PWSs) that adjust the fluoride concentration in drinking water and achieve a monthly average fluoride level that is in the optimal range for 12 consecutive months in a calendar year, as documented in the CDC Water Fluoridation Reporting System (WFRS). CDC initiated the Water Fluoridation Quality Awards program to recognize outstanding performance in fluoridation management by public water systems. In Minnesota, 233 of 605 possible fluoridating community PWSs are receiving an award for 2017. We give an extra shout out to Sam Berger on this outstanding effort and thank you for your work providing safe, dependable drinking water for Ortonville!